I had the chance to talk to Michael Fox from The Creativity Hub about their new game Untold: Adventures Await, which allows you to build an RPG game out of Story Cubes. You can pull in any Story Cubes you want, and there are a lot of options out there already! The variety of cubes will make it easy for me to run the Batman hospital drama I’ve always wanted to try. But seriously, this looks like a great way to have an evening of wacky fun and you should check it out on Kickstarter! Tell us a little bit about yourself! When did you start getting into games? So, I’m Michael Fox, I’m a game designer, sometime publisher, podcaster and occasional writer. I’ve run my own site (called The Little Metal Dog Show) and an accompanying podcast for the past eight years or so where I get to interview all manner of folks from the tabletop industry. For now though, I’m currently working with The Creativity Hub over here in Belfast, Northern Ireland, helping them make games that are not only great to play, but also have a bit more meaning under the surface. I started getting into games as a kid with the classic nerd titles – Hero Quest was a major influence on me. I’d play it myself with solo rules that I ‘developed’ – basically, making stuff up as I went along, stuff that felt right from a story point of view. That morphed into actual rulesets for other games, and then I grew up, discovered music and girls, and forgot about games until around 2000. I stumbled across a tiny game store in Sydney, Australia, saw the kinds of things on offer there, and was kind of hooked. From then on… well, it’s all been cardboard and meeples and dice. What are your favorite games, style of games, or RPGs? 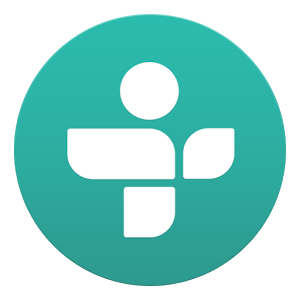 I’ll literally play anything, but I generally find I veer towards pretty chunky stuff with lots of moving parts. The more things I need to consider when playing, the better – I love a game that hurts your brain but allows for building strategies, where pulling the trigger on a plan you’ve been working on for ages just works. Not that I’m saying I can do that often – just because I like that, doesn’t mean I have the capability to do it… At the complete opposite end of the spectrum, I love RPGs too; any game where you can throw yourself in and just *be* a character is a very freeing experience. What are Story Cubes? How do you play a game with them? Story Cubes are sets of custom cubes that are covered in icons that, when rolled, can be used to help you tell stories. Basically, grab a bunch of them (normally nine), roll them and see what comes up. You can tell stories on your own, collaboratively… however you want. It’s a very freeform way of playing, but with so many different sets available and combinations you can put together, you can basically make stories about anything. There’s no real winner, it’s pure play, but there are lots of people who build rulesets for more game-y games, if you get what I mean. How is Untold: Adventures Await different from Story Cubes? Well, it’s one of those more game-y games! If you’re playing with Story Cubes on their own, the tales you come up with are generally pretty quick. They’re done in a matter of moments, tell the story, roll again and begin all over again. Untold: Adventures Await offers a much deeper storytelling experience. It’s a ruleset that uses the Story Cubes as a small part of a much bigger engine, but it’s still straightforward and accessible to play. It puts players into the middle of a favourite TV show or story, making them the heroes of the piece, and uses actual scriptwriting techniques to ensure that each game (which we refer to as an episode and takes around an hour to play) follows a proper story arc. You’re essentially going through The Hero’s Journey every time, but with randomly selected elements that you’ll need to use your imagination and the Story Cubes to deal with. Sounds complicated when I talk about it, but it’s actually really easy to get into. A load of stuff! Chunky tiles representing the different scenes that you’ll be working through, a stack of Reaction Cards that you use every time you perform an action (to see how it goes, of course), Toolkit Cards that allow you to express opinions and move gameplay in the way you want it to go… You also get Hero Sheets and Adventure Journals to keep track of what’s happening, a big central play board too. There’s also a set of Story Cubes in there as well, but if you’ve got sets of your own, you can switch them in an out to play in different worlds. Want an adventure in Gotham City? Play with the some of the Batman Story Cubes mixed in! You get a LOT of options. What are the recommended ages for this game? Is it easy for kids to pick up? How long does it take to play? We recommend eight and up, but we recorded a playthrough with a family this past weekend who had seven-year-old twins, and they had a blast. With guidance, kids will do fine with Untold, and after a couple of episodes’ worth of play, they should be able to do the whole game independently. With everything based around icons, we’re trying to keep things simple from a rules standpoint – the complexity and fun comes from the story creation and world building. With games taking around an hour, it also means that you’re not going to suffer from a lack of attention span – though you can string episodes together an make a series, using the same characters. What are the possible reward tiers? What sort of stretch goals are you offering? There’s the base game, of course, and we’re also offering pledges where you can get your hands on the StoryWorlds sets – these are our licensed ones, with StoryCubes based around Doctor Who, Looney Tunes, Scooby Doo, Batman, Moomin (it’s Finnish, go check it out!) and – my favourite – Adventure Time. For those of you who suffer from Completionist Syndrome, you can get basically every StoryCube ever too. As for Stretch Goals, for our first one we’re planning on giving everyone a set of the Batman StoryCubes to show how things work in a defined universe, plus a few cool additions to the game itself. They’ll be rolling out over the course of the campaign – at the time of writing we’re nearly at the Batman goal! Are there plans to develop anymore sets of Story Cubes to pull into the game? 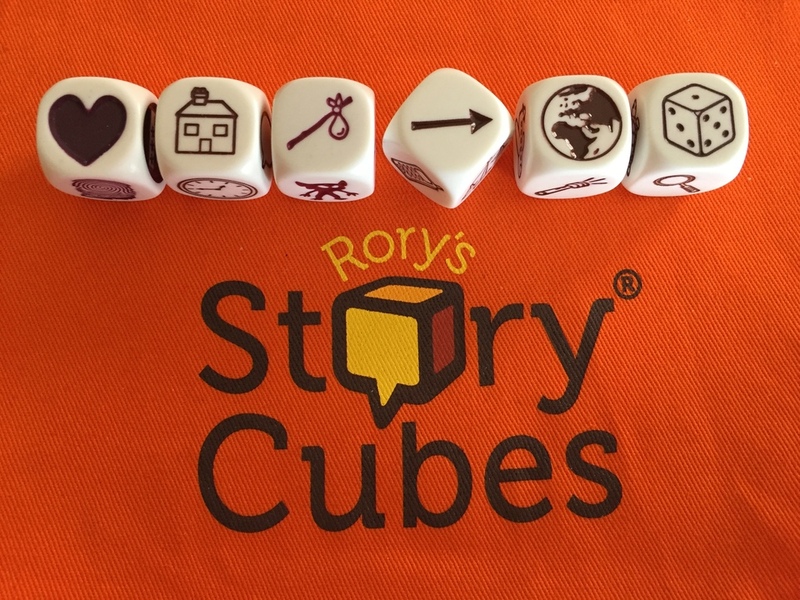 Rory (he of the Story Cubes) has actually just finished the icons for the final StoryCubes, and they’re expected to be released in 2018. That means there’ll be nine sets of nine cubes, plus all the StoryWorlds sets on top of that. That’s a LOT of StoryCubes! What has been your favorite game of Untold you’ve played so far? The stories I’ve been involved in have generally ended up being a combination of action packed and really strange. The game really lends itself to this high adventure vibe, but my friends seem to have a knack of subverting things and adding darker twists. We played a game set at the World Barista Championships recently, a tale that was filled with revenge, duplicitousness and coffee. That’s actually one I’d like to go back to – my character was the manager of the British squad, complete with a lucky milk frothing jug on a gold chain around his neck. It got a bit violent towards the end. What Story Cubes would you combine for an investigative horror game? How long do we have before the Kickstarter ends? 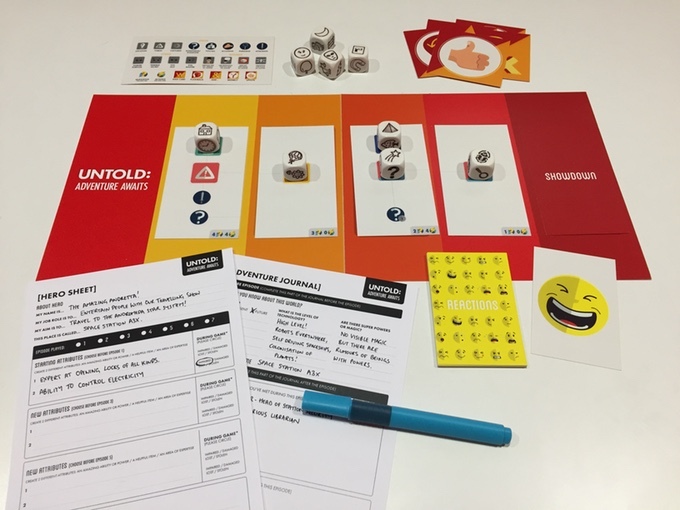 If people would like to try out the game themselves right now, there’s a print and play file of the prototype on the Kickstarter page for free – they’ll just need to get hold of some Story Cubes themselves to play. Also, we’ll be running some games through Kickstarter Live over the course of the campaign, hosted by me – I won’t be doing much though, the watching audience will be controlling the game through Twitter. That’ll be an experience, I’m sure – we’ll need to keep it at least vaguely family friendly! You can find the Kickstarter and more information here. If you want to learn more about Story Cubes, you can find out more on their website or check out their Twitter feed. You can also learn more about the games from The Creativity Hub or follow them on Twitter! And, of course if you want to hear more from Michael, you can also find him on Twitter.